Events are still developing, and regardless of the outcome, Turkey’s political landscape has descended one step further still into chaos and instability with the prospect of a united and stable Turkey emerging anytime soon very unlikely. Turkey hosts a myriad of competing factions, including Turkey’s ruling party, Justice & Development Party (AKP), Kemalist nationalists that functions as a military “deep state,” a large Kurdish minority and a tangled web of street and even armed fronts supporting each respective faction. President Erdogan himself laid the blame for the coup attempt on Fetullah Gulen, a US-based opposition figure who has long sought political power in his native Turkey. President Erdogan immediately seized upon the violence to declare his intentions to “cleanse” the military of dissents, however, this is likely to only further divide the country and force his political enemies to take even more drastic measures to ensure self-preservation. Beyond merely vying for political power, there may be other reasons for increasingly violent infighting across Turkey’s political landscape. Turkey’s involvement in recent years in neighboring Syria and the ongoing war there has manifested itself within Turkey as a self-destructive policy of cultivating regional terrorism, pitting the nation against its neighbors and powerful economic partners like Russia and even has brought Turkey on multiple occasions toward the brink of wider regional war. Evidence suggests that terrorist organizations including Al Qaeda and the self-proclaimed Islamic State (IS) are harbored within Turkish territory as well as resupplied, rearmed and reinforced in Syria via Turkey. Russian air operations along the border, stemming this torrent of supplies have been credited with the subsequent collapse of terrorist operations within Syria, further lending credence to accusations of Turkey’s direct involvement in sponsoring regional terrorism. Turkey’s continued participation in US-led attempts at regime change in Syria has cost Turkey politically, economically and with several major terrorist attacks within Turkey carried out allegedly by the very groups Turkey’s government is supporting in Syria, the nation is clearly suffering in terms of security and stability. 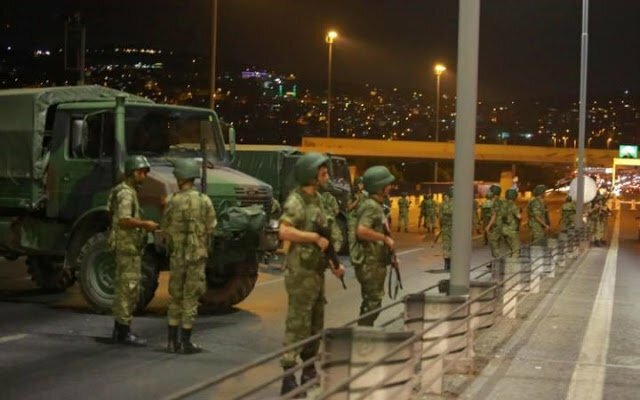 For factions within Turkey’s military itself, charged with the defense and self-preservation of the Turkish state, it must be tempting to intervene in order to reverse this disastrous course. 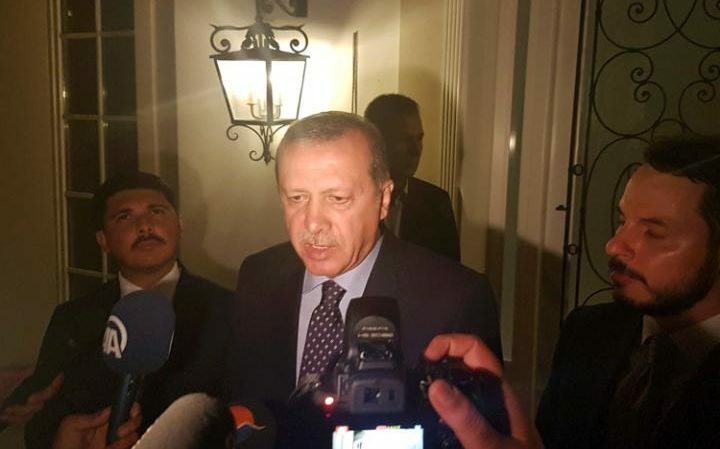 It must also be tempting for the government of President Erdogan to preempt any such intervention. For the US, who has benefited immensely from Turkey’s cooperation in Syria, it must be tempting for Washington to ensure Turkey remains on its current course, or even accelerate and expand its efforts. The lack of any significant leading figure coming forward to lead the coup has led to speculation regarding several possibilities. First is that whichever faction launched the coup, did so as a means of testing its viability and garnering wider support if possible based on its perceived success. At the same time, they attempted to maintain plausible deniability by not openly leading it. However, by doing so, they may have undermined their chances of success. The second possibility is that the coup attempt itself was a ruse not intended to succeed, but like many of the other terrorist attacks carried out within Turkey itself, was intended as a means of justifying a further consolidation of power by President Erdogan. A third possibility is that the coup was indeed organized by Gulen from abroad, as a means of pressuring and coercing President Erdogan further down the destructive path he has brought Turkey down. It should be noted that in the lead up to the coup, President Erdogan uncharacteristically began attempting to mend relations with both Russia and Syria after bringing Turkey to the brink of war with both nations. 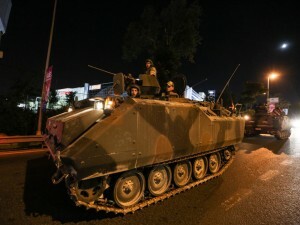 There is the possibility that military factions involved in the coup will continue to undermine, resist and otherwise attempt to overthrow the current Turkish government, even if the current coup itself is fully put down. It should be remembered that Turkey’s Kurdish minority has waged a low-intensity conflict against Turkey for years with the fighting seeing renewed vigor during the recent 5 year conflict in neighboring Syria. If the coup was truly led by disenfranchised military leaders, they could end up as a long-term and increasingly potent factor in an already complex regional political and military struggle. Should President Erdogan double-down on Turkey’s role in US-led regime change operations in Syria, while consolidating power and further diminishing the military’s political role within Turkey itself, the apparently poorly executed coup may indeed have been nothing more than a ploy to redirect Turkey back onto the destructive course President Erdogan has sent it down since 2011. While the Western media is attempting to portray the apparent failure of the coup as a “victory for democracy,” it is clear that Turkey’s unraveling over recent years will benefit no one and no political institution or principle, including democracy itself.